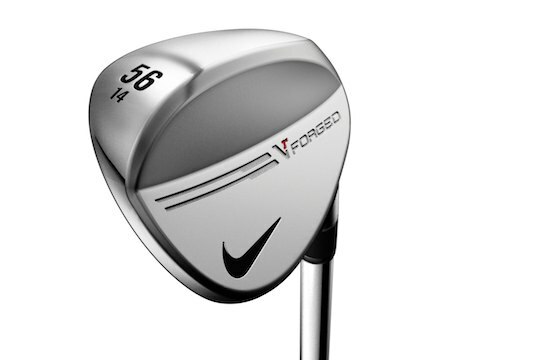 Nike Golf is capitalising on the success of its VR Pro forged wedges with the introduction of the highly crafted Nike VR Forged wedges. Available now at retail, the Nike VR Forged wedge family is made with a fine forged craftsmanship to deliver enhanced shot-making consistency, tour-level feel, and long-life groove performance. The wedges are crafted of a soft 1025 carbon steel and finished in premium satin chrome. Built from the needs of Nike Golf Tour athletes, the VR Forged wedge features three distinct sole grinds to ensure ideal set-up from sand, fringe, fairway or deep rough for different players. The three sole grinds are Standard Grind, Dual Narrow Grind and Dual Wide Grind. The VR Forged wedge with a standard grind is the most versatile profile for all conditions. This sole grind, which was inspired by the desires of Tiger Woods, ensures the correct address position without the need to open the face. This wedge is for the athlete that likes a multiple wedge system in their bag where loft is the primary difference. Featuring a dual narrow grind, the VR Forged wedge has a narrow sole width with higher bounce and extreme heel relief. The wedge sits low to the ball whether the face is square or open. The dual narrow grind was influenced by Nike athlete Paul Casey, who likes to create more shots with fewer wedges. Through research in conjunction with Nike Golf’s European Tour staff, who often face very wet conditions and heavy morning dew, Nike created the VR Forged wedge with a Dual Wide Grind. With the help of Nike athlete Francesco Molinari, club experts found that the Dual Wide Grind has all the benefits of a wider sole with a low bounce. The easiest of the three grinds from any location around the green. This wedge is designed to get the ball up high in the air with ease. This grind allows the athlete to be accurate from the bunker but still deadly from the narrow lies. The Dual Wide Grind is an excellent second or third wedge option. The VR Forged wedge features Nike’s high-frequency X3X grooves with a precision laser crosshatch pattern that is applied to the land area between the grooves. This pattern adds three times the surface texture versus conventionally finished faces, creating more spin in all conditions. With Nike’s X3X grooves, there are more grooves that are closer together and deeper on the clubface, which provides more control and consistency in all conditions off of the clubface, while conforming to the USGA and R&A rules.